Turn up the heat with this multitasking blush and highlighter makeup duo stick! Give your face a fearless flush of color and a glossy finish at home or on-the-go. Turn up the heat with this ultimate multitasker! Get a fearless flush of color and glossy touch with this limited edition duo stick. Sport a fearless flush of color with the perfect glossy finish. Take this waterproof duo stick with you anywhere, anytime for that post-win glow. Accentuate cheekbones with color side for the perfect flush then add the glossy topper for a perfected rosy glow. Does this product have any glitter and/or shimmer in it, or is it just glossy/dewy? Hi Kennidy! 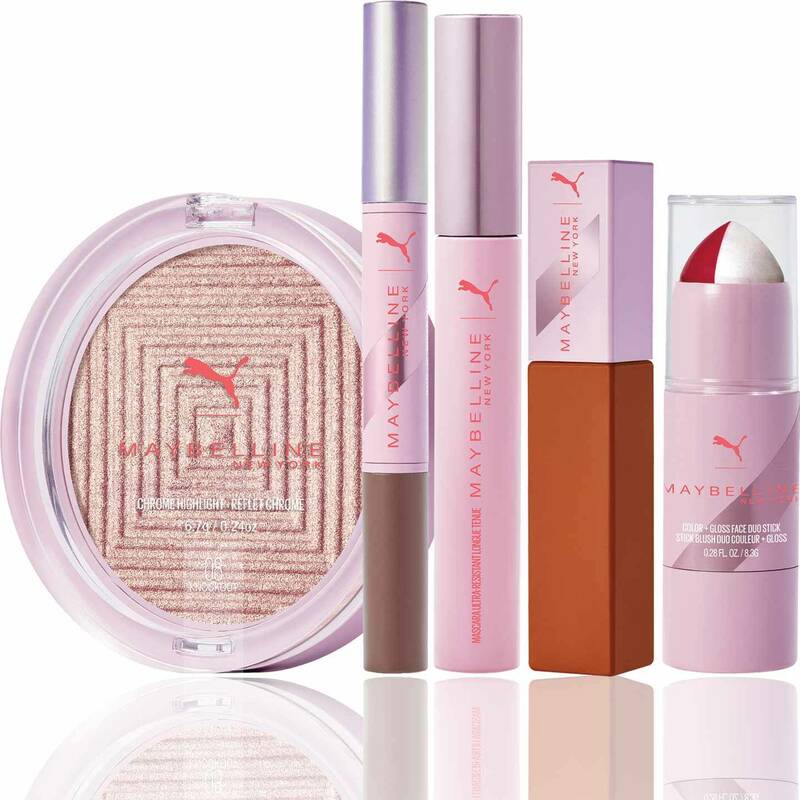 Thank you for your interest in our Puma X Maybelline Color + Gloss Duo Face Stick! This limited edition stick has a lightweight, glossy finish! We hope this information is helpful and that you are able to try it in the future!